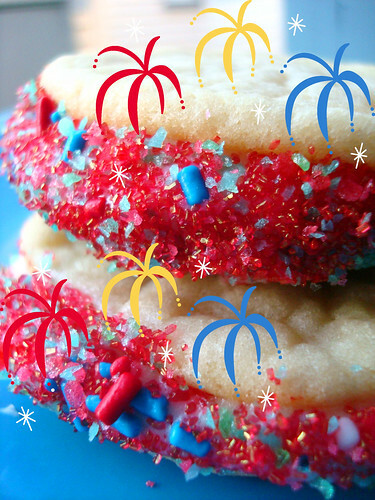 Sure, you can make red, white and blue treats for the 4th of July. But how can you really American 'em up for the holiday? 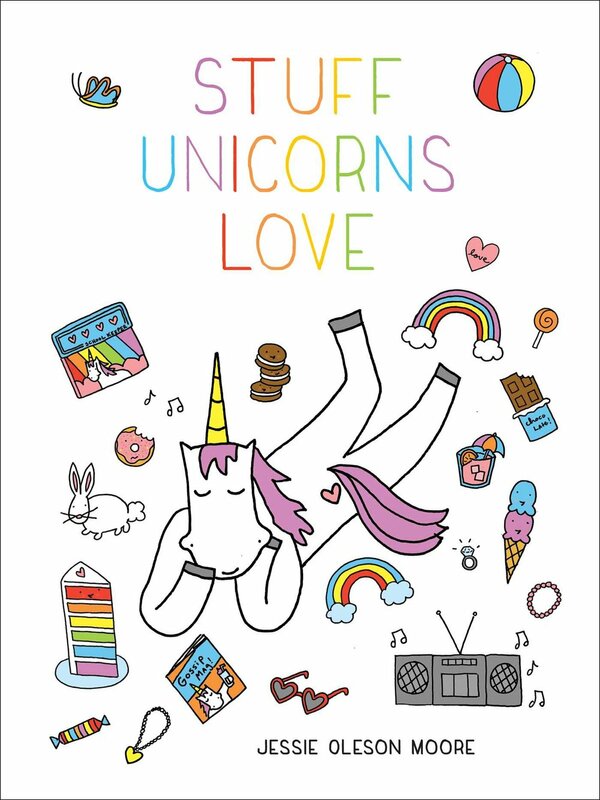 You need to add explosions. 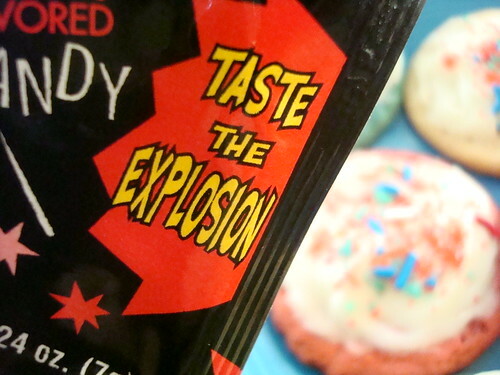 Like a summer blockbuster movie, these cookies are chock full of explosions: they're both infused and garnished liberally with Pop Rocks. This not only makes them crackle like fireworks but also pays homage to that other all-consuming american obsession: truly trashy candy (and I say this in the most loving way possible). So--are you ready to make your fourth of July extreme? In a large mixing bowl, beat together the butter and sugar till smooth. Add the buttermilk and vanilla, again beating till well-combined. The mixture may look a bit curdled; that's OK.
Add the nutmeg, flour, baking soda and salt to the wet ingredients, and beat until the mixture forms a cohesive dough. 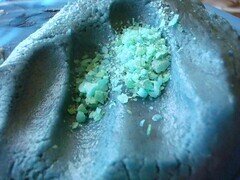 Divide into three parts, mixing one part with blue food coloring (a lot! ), one part with red (also a lot) and leave one part plain. This way, you can have a mix of red, white and blue. 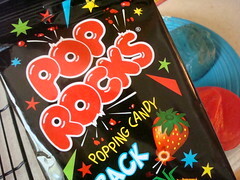 At this point, you'll want to break into those Pop Rocks. 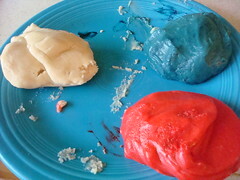 I put a nice little handful of red (strawberry) and blue (raspberry) into the corresponding balls of dough (you could do a mix in the white dough). Drop the dough in round blobs onto a parchment-lined or greased baking sheet. They should be a bit bigger than a ping-pong ball, a bit smaller than a golf ball. Using a cookie scoop (or, if you have one, a small ice cream scoop, one that will hold about 2 level tablespoons of liquid) makes this task extremely simple. Leave about 2 inches between the dough balls, as they'll spread as they bake. Bake the cookies in a preheated 350°F oven for about 12-14 minutes, or when they are just starting to brown. Remove them from the oven, and cool on a rack. 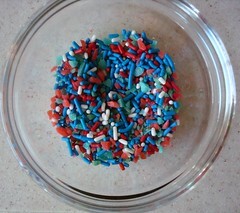 While you're waiting for them to cool, you'll want to take a small bowl and mix the leftover pop rocks with whatever red, white and blue sprinkles you've got around. Once cool, either top with a generous dollop of frosting (I used cream cheese, below) or put a dollop between two cookies for a sandwich. 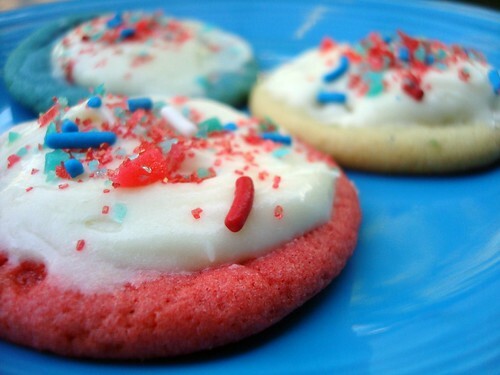 If you've just frosted the top of the cookie, apply sprinkle mixture to the top or dip it into the bowl if the frosting consistency allows for it; for the sandwiches, you can dip the sides in the bowl so that they pick up the sprinkle mixture. 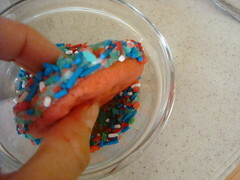 I used two half-pouches of Pop Rocks (what was left after I folded some into the dough) and a mix of some other red, white and blue sprinkles I happened to have around.